Whether you want to worship the sun or get your cold on, taking a long-distance trip in the winter months can yield all kinds of new adventures – and help you burn all those miles you’ve racked up. Did you know Mileage Plan members can earn and redeem miles while flying internationally on Alaska’s partner airlines? From tropical climates and snow-covered lands to magnificent cities and off-the-beaten-track cultures, here are six places to consider. A cable car above Santiago’s Cerro San Cristobal. This vibrant, South American metropolis is full of warmth and promise in the winter months (Chile’s summer). Hop a flight on LATAM and you’ll find yourself surrounded by mountains and smack in the middle of a cultured city with a vibrant food and wine scene, plentiful shopping and stunning architecture. Wander the historic center to see Chilean everyday life as it goes by, and don’t miss the Changing the Guard ceremony at La Moneda Palace. Then head to the Providencia area for a hike or cycle around the Parque Metropolitano. Want a more relaxing day? 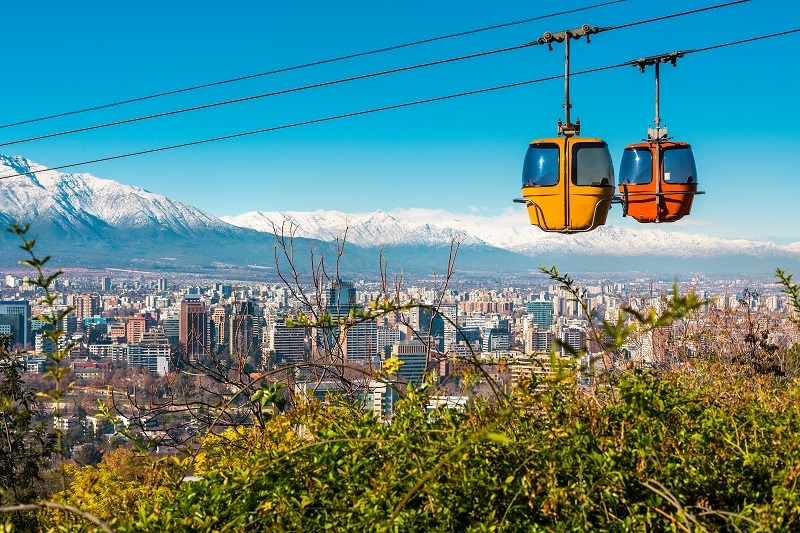 Hop on the funicular to the top of Cerro San Cristobal and soak in the stunning views of the capital. Shopping should be saved for Las Condes, which houses all types of shopping centers and some of the most renowned restaurants in the city. Santiago is not complete without a trip to wine country, right outside the city. You can head out for a few days or hire a tour for the day. Waikiki Beach in Honolulu. Photo by Ingrid Barrentine. You’d be more hard-pressed to find a reason not to go to Hawaii in the winter. So, if you’re ready to experience white sand, clear blue sea and some of the most tranquil beauty in the United States, hop on an Alaska Airlines flight to Oahu for a break from the cold weather blues. Oahu is home to Honolulu, the state capital of the Hawaiian Islands. 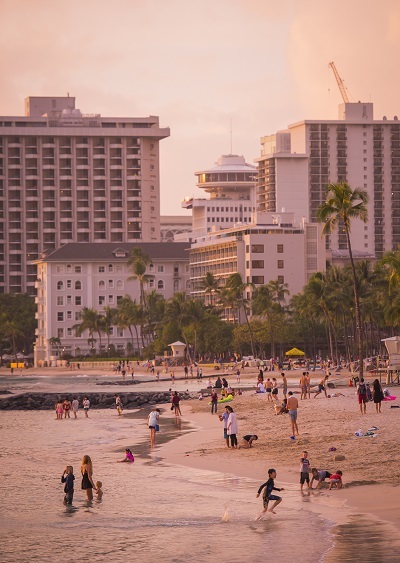 In addition to lounging at one of the spectacular beachfront resorts, you can try your hand surfing at the famous Waikiki Beach or watch the big wave experts at Banzai Pipeline, Waimea Bay and Sunset Beach. Ready to explore? Check out the 100,000-year-old volcanic cone of Diamond Head Crater, head to the North Shore to hike Lulumahu Falls and watch winter waves pound the beaches, kayak in the calm of Kaneohe Bay or join a humpback whale watching cruise. And, of course, there’s plenty of shopping to be done in the upscale, designer satellite stores at the Ala Moana shopping center. The famous red junk ship in Hong Kong’s Victoria Harbour. 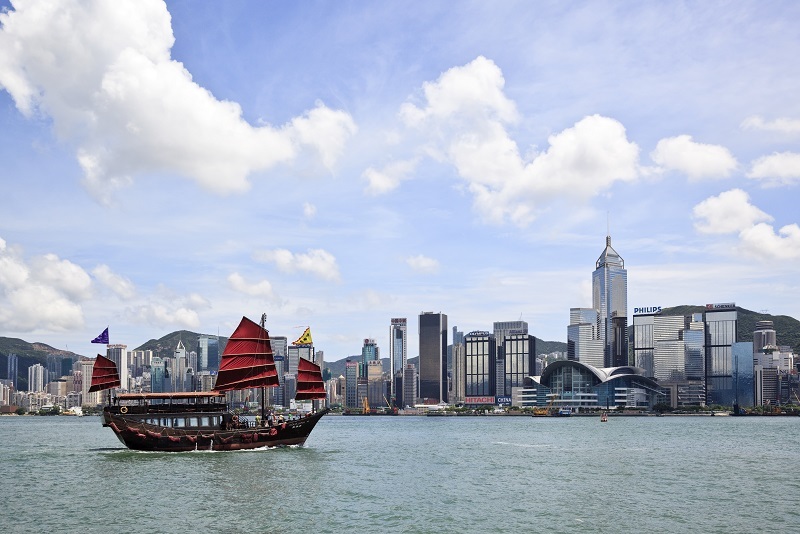 Why is winter a great time to visit Hong Kong on Cathay Pacific? Typhoon season ends in November, so you’ll be free from worry of getting stuck in one of these massive storms. And because it’s a sub-tropical climate, it will still be comfortable to enjoy the sites, travel to its islands, shop and eat world-class cuisine. A mix of Chinese and western cultures, you’ll want to investigate Hong Kong’s skyline, which boasts over 7,600 skyscrapers and iconic buildings, including I.M. Pei’s Bank of China Tower and Hong Kong West Kowloon Station, it’s gateway for high-speed rail. And hidden between these shining gems are the city’s plentiful Buddhist and Taoist temples, which welcome everyone to appreciate their ancient rituals. For a more multi-cultural experience, you can explore the Eastern half of the Kowloon peninsula or get some exercise cycling the Shing Mun River or find the winter homes of over 90,000 migratory birds at the Mai Po Nature reserve. Eating and drinking will not be a problem with your pick of some of the most exotic, exciting and delicious food in the world. For a quick stop, you can enjoy classics like egg tarts and pineapple buns, Chinese barbecue, dim sum, noodles and congee. Or make it a night out at one of the elite fine dining establishments, many found in the Michelin Guide, like T’ang Court or Bo Innovation. Melbourne’s urban skyline and Seafarers Bridge. Unlike its more popular sister city, Sydney, Melbourne is the cultivated grown-up in the room — and just a flight away on Qantas, an Alaska Global Partner. 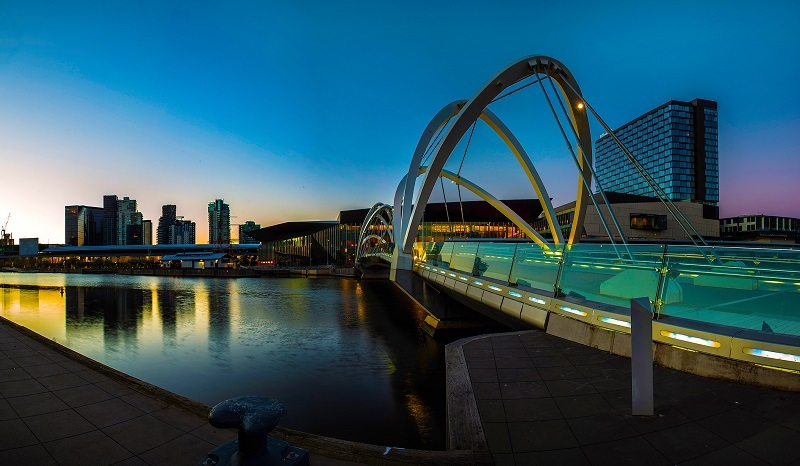 A city full of culture, architecture, food, theater, music, and yes, fun, winter months are Australia’s lively summer. Street art is abundant in city center’s Hosier Lane, but if you want something more structured, hop on a Melbourne Street Art Tour to get up close and personal to the magnificent outdoor galleries. Melbourne Central is also a place of interest, with plenty of shops and restaurants to visit, as well as the landmark Coops Shot Tower — one of only three 19th-century shot towers left on the continent, and the only one you can climb. And though the city is a well-laid out grid and easy to walk, there’s also Melbourne’s answer to Miami Beach at the seaside paradise of St. Kilda. Spend the day cocktailing or strolling the cafes and art deco mansions, or join in the hive of activity from roller coasters to roller bladers – just don’t miss the sunset off Kilda Pier. Myvatn Nature Baths in Reykjavik, Iceland. A proper winter wonderland, Reykjavik is as welcoming in its colder months as ever. And if you’re willing to hop a flight with Icelandair, you won’t be disappointed. Sure, the days are shorter, with the sun only shining a few hours, but you’ll be rewarded with an almost glowing, blue light for much of the day. And, you’ll get hours-long sunsets and sunrises — a photographer’s dream. Because of its position in the Gulf Stream, the weather is not as chilly as other northern cities and temperatures don’t usually go below freezing. 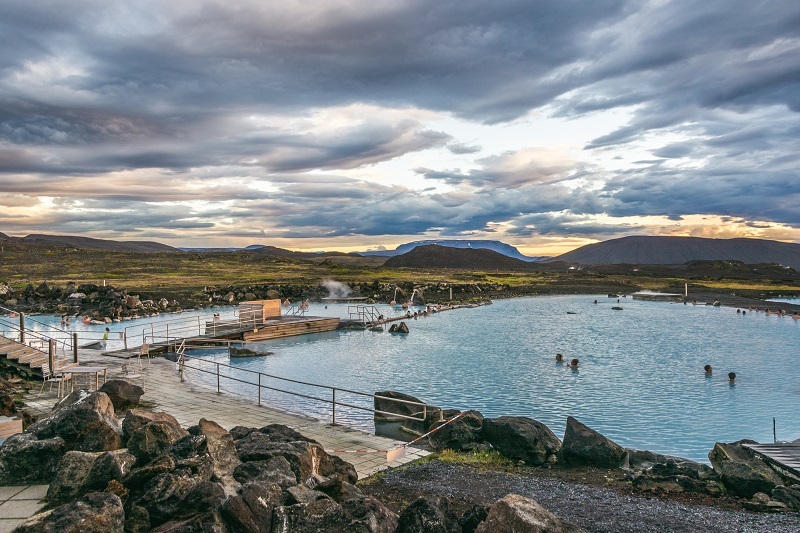 This means you can still hit the plentiful thermal pools and spas, like the geothermal seawater of the Blue Lagoon, and stay warm and cozy in the water —though you’ll want to have a robe ready when you get out. The new Perlan Museum is worth a visit for its world-class art, an in-depth exhibit on Glaciers and Ice, and stunning 360-degree views of the city and surrounding mountains and volcanoes. In the evening, drop by The Imagine Peace Tower, a light tower conceived by Yono Oko and dedicated to the memory of John Lennon. A single beam of light, pulled from smaller lights and reflected to the sky with mirrors, the tower is powered from Reykjavik Energy using geothermal power, and lit for a full week for winter solstice. Piazza del Duomo in Milan, Italy. A cosmopolitan city with one of the oldest cultures and cutting-edge design and fashion, Milan without the scores of crowds is well worth a visit. The winter months can be the most peaceful, and smart, time to plan your trip on Emirates. With tourist traps like the Santa Marie delle Grazie church almost impossible to snag in warmer months, you can even find last minute availability to see da Vinci’s Last Supper. A large, sprawling city full of architecture, history, luscious food, wine and, of course, coffee and cafes, there is plenty to explore. 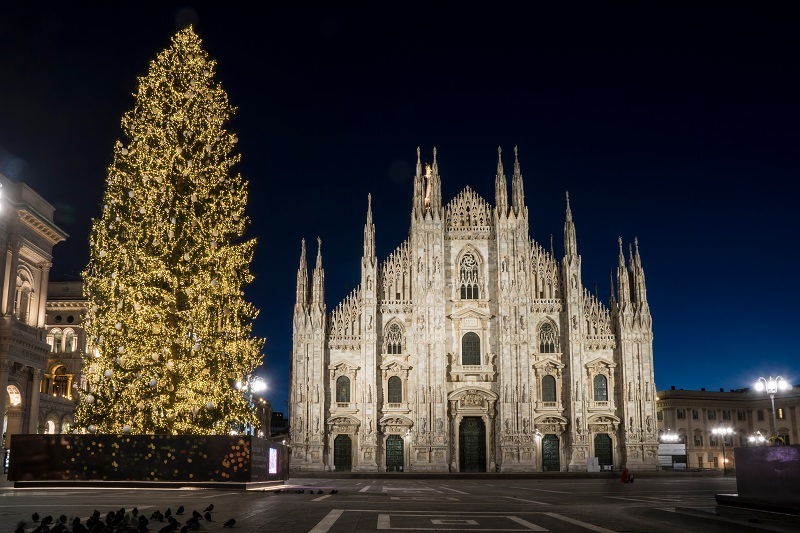 Yes, you’ll have to put on a jacket, but all the better to hit the sites, like the Gothic Duomo di Milano, where you can wander the cathedral and discover the stately spires on the roof. The city’s Central Park offers an imposing castle and moat, and the culture-rich Brera and Centro Storico neighborhoods should be strolled through leisurely. But if you’ve got some time to shop, it’s the Galleria Vittorio Emanuele II which will be your siren’s call. Filled with Italian labels like Prada, Gucci and Versace, it is also one of the oldest shopping malls in the world and an opulent reminder of the elegance and history of the city. 14 comments on "6 places to visit this winter using Alaska Airlines miles"
Will you offer more business/first class direct flight options to Sydney/Melbourne from SFO (using miles) in the future? The current options only amount to a few direct flights over the summer, or a first class flight to LAX before an economy flight to Australia (hardly worth the 70k-80k+ miles its worth). We are really missing being able to fly to Europe from the West Coast, especially Paris and Spain. BA charges too much $ in addition to the miles. Any chance you will be able to add some partners for Europe? We are also continually evaluating new partnership opportunities, so stay tuned! The Myvatn Nature Baths (pictured) are amazing, but *nowhere* near Reykjavik. Will Alaska Airlines work on use of mileage points to upgrade on partner airlines. It is the one benefit Skyteam and Star Alliance have and it really makes it a lot easier to fly internationally. Does Alaska also plan more partnerships with other European airlines now that Air France and KLM are no longer partners? I’ll see what I can find out! As an Alaska Airlines mileage plan member, you can really see the world. Australia, Chile and New Zealand are on my to visit list. Thanks Alaska !